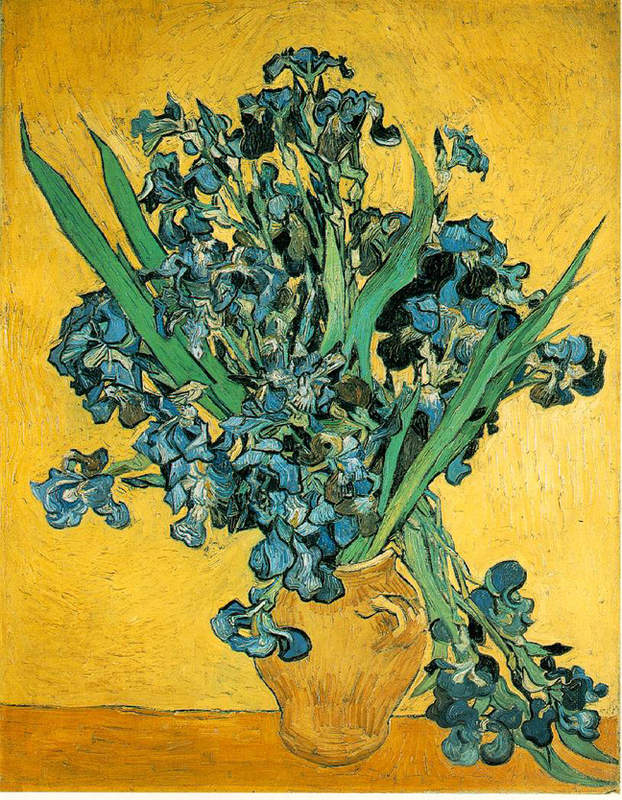 Conceived as a series or ensemble on a par with the Sunflower decoration he painted earlier in Arles, the group includes the Metropolitan Museum’s Irises and Roses and their counterparts: the upright Irises from the Van Gogh Museum, Amsterdam, and the horizontal Roses from the National Gallery of Art, Washington, D.C. 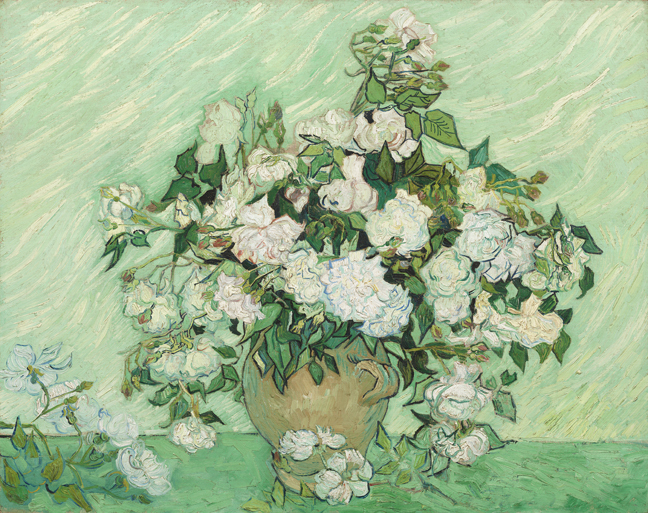 The presentation is timed to accord with the blooming of the flowers that had captivated the artist’s attention, opening 125 years to the week that Van Gogh announced he was working on these “large bouquets” in letters to his brother dated May 11 and 13, 1890. 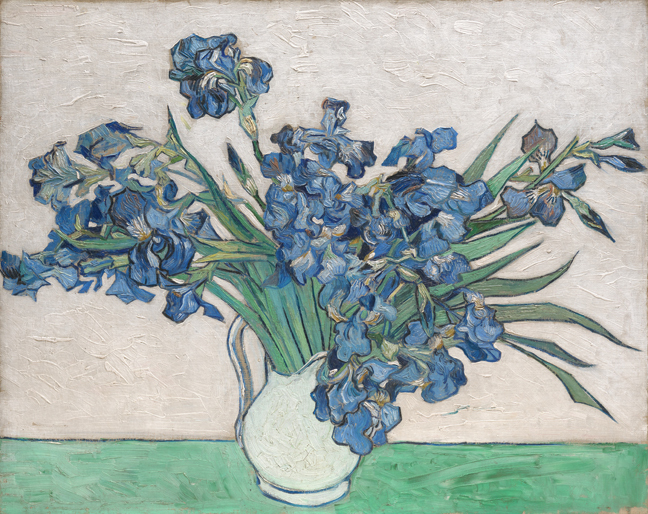 It offers a revealing look at the signature still lifes in a singular context, inviting reconsideration of his artistic aims and the impact of dispersal and color fading on his intended results. The Museum’s initiative in reuniting the group of four paintings has been the stimulus for new technical and documentary investigations, undertaken in close collaboration with researchers, conservators, and scientists at the lending institutions. These findings are introduced in the exhibition, which includes digital color reconstructions, based on extensive analysis and comparative study. 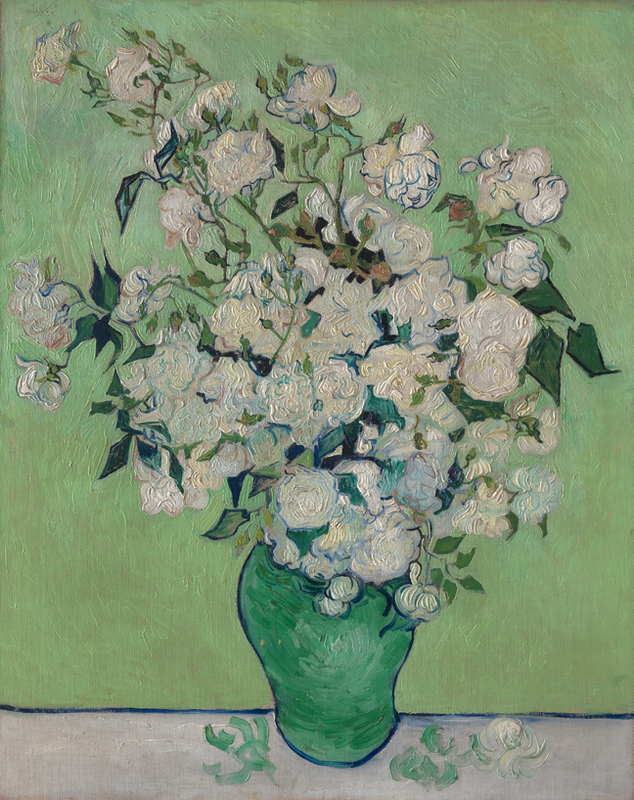 The installation presents the paintings in the order in which they were realized, and in frames adapted from the artist’s profile but designed to be unobtrusive, so that the unfolding logic and verve of Van Gogh’s four-part painting campaign may be fully appreciated.